English- speaking countries Great Britain The United States of America Canada Australia New Zealand The world of English- speaking countries is interesting, various and amazing. There are a lot of outstanding writers and poets. 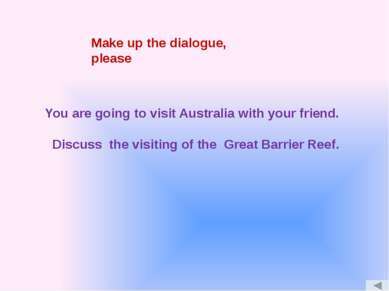 The culture of the countries is fascinating. People can proud of a great number of achievements in different fields of life. 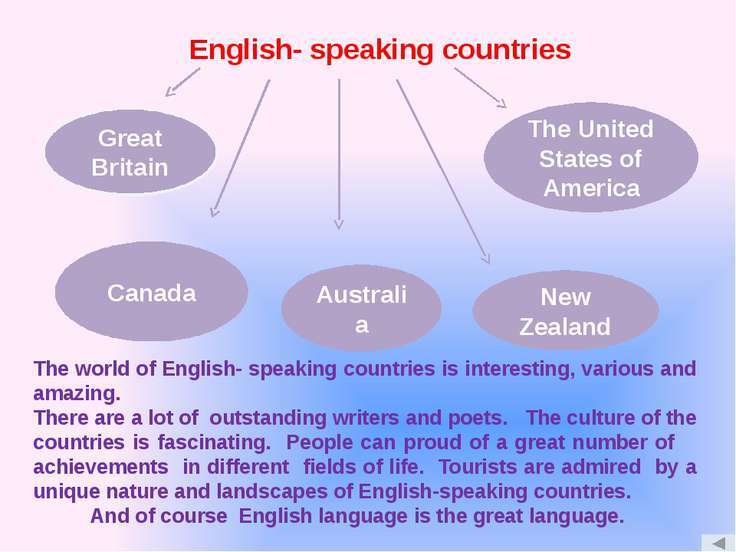 Tourists are admired by a unique nature and landscapes of English-speaking countries. And of course English language is the great language. 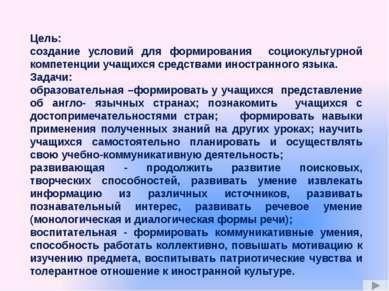 Цель: создание условий для формирования социокультурной компетенции учащихся средствами иностранного языка. 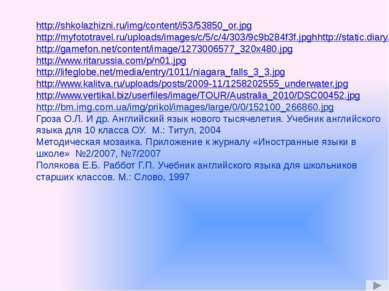 Задачи: образовательная –формировать у учащихся представление об англо- язычных странах; познакомить учащихся с достопримечательностями стран; формировать навыки применения полученных знаний на других уроках; научить учащихся самостоятельно планировать и осуществлять свою учебно-коммуникативную деятельность; развивающая - продолжить развитие поисковых, творческих способностей, развивать умение извлекать информацию из различных источников, развивать познавательный интерес, развивать речевое умение (монологическая и диалогическая формы речи); воспитательная - формировать коммуникативные умения, способность работать коллективно, повышать мотивацию к изучению предмета, воспитывать патриотические чувства и толерантное отношение к иностранной культуре. Solomon Robert Guggenheim (1861-1949) The Founder of the Museum The American philanthropist Solomon Robert Guggenheim was the son of industrialist Meyer Guggenheim. 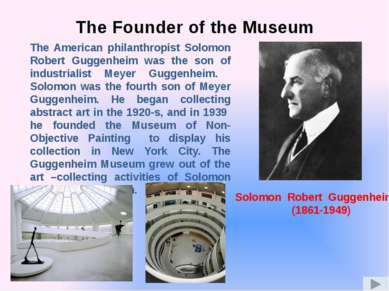 Solomon was the fourth son of Meyer Guggenheim. 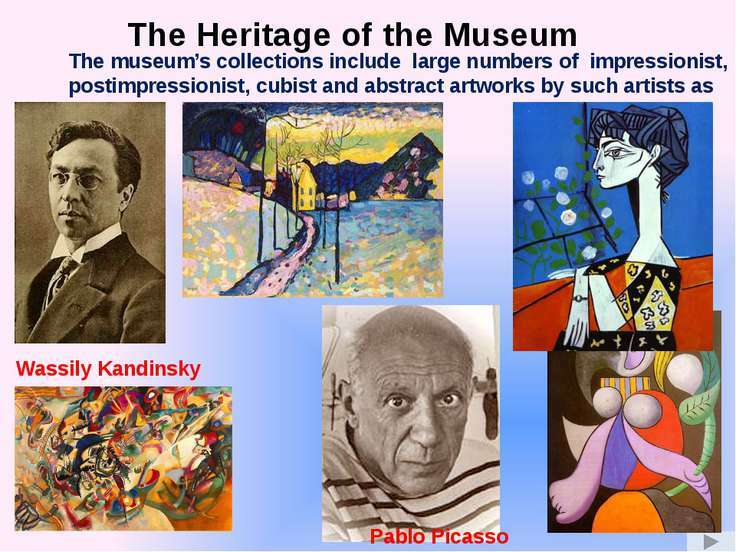 He began collecting abstract art in the 1920-s, and in 1939 he founded the Museum of Non-Objective Painting to display his collection in New York City. 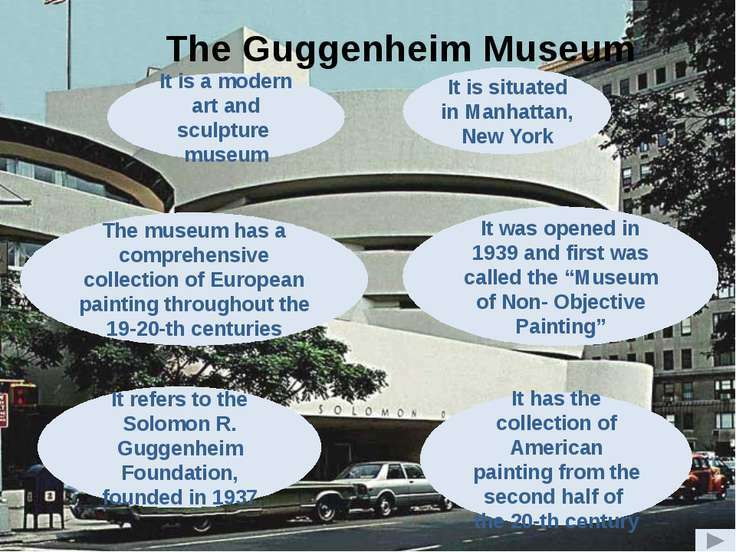 The Guggenheim Museum grew out of the art –collecting activities of Solomon Robert Guggenheim. The interior of the museum Architect Frank Lloyd Wright Frank Lloyd Wright The unusual form of the museum is the work of Master of Organic Architecture who was one of the most prominent and influential architects of the first half of the 20-th century. 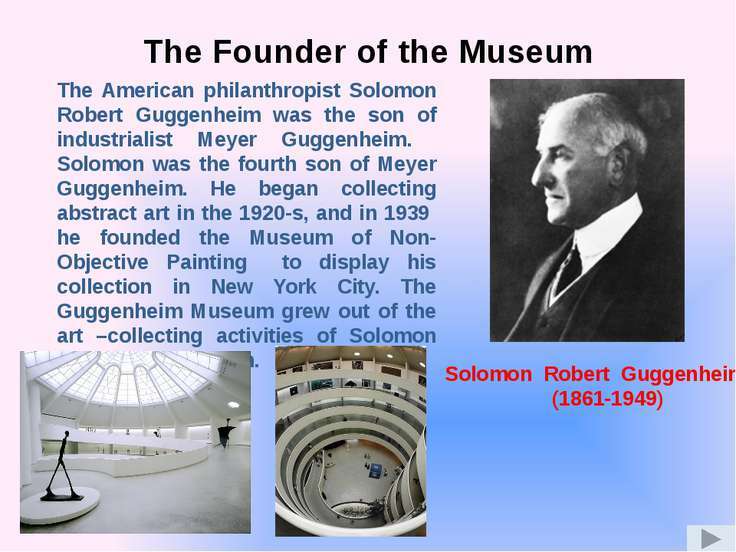 He not only developed a series of highly individual styles over his extraordinary long architectural career, he influenced the whole course of American architecture and building. To this day he remains probably America’s most famous architect. People can see his concept of “space in motion” in the design of the Guggenheim Museum. The building is “all in one great space on a continuous floor”. 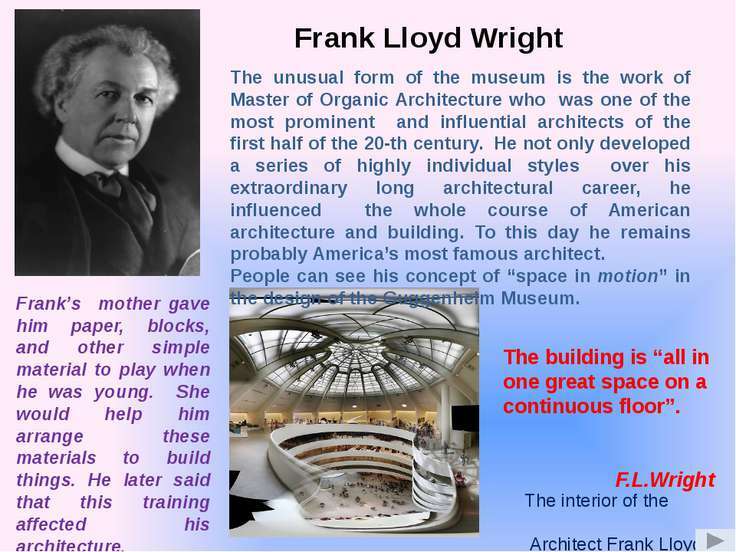 F.L.Wright Frank’s mother gave him paper, blocks, and other simple material to play when he was young. She would help him arrange these materials to build things. He later said that this training affected his architecture. An unusual bird This interesting bird lives in the wet parts of the thick bushes. In the day-time the bird does not go out. It comes out only at night to find food. Kiwis cannot fly. Many years ago kiwis were hunted for food. Now the government does not permit hunting the kiwis. 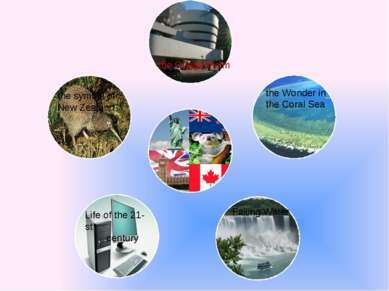 Small children are often called kiwis. New Zealand has very few native animals. 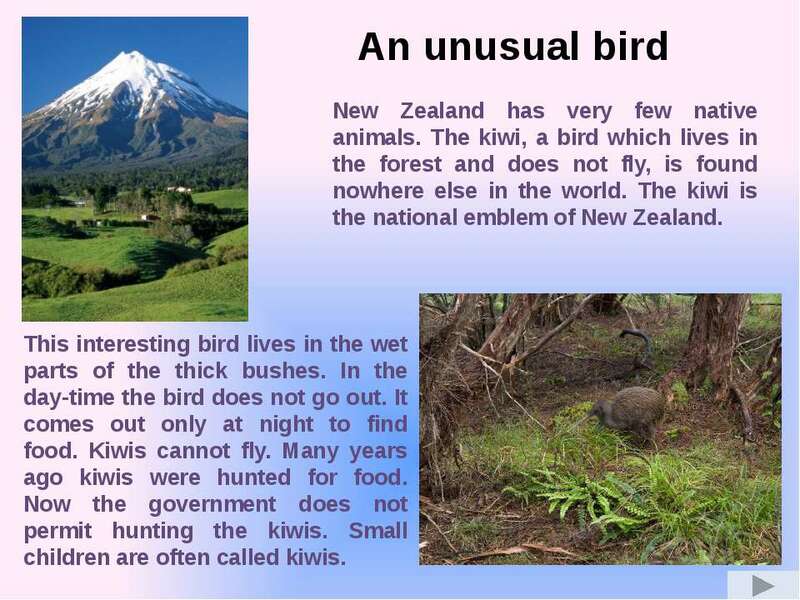 The kiwi, a bird which lives in the forest and does not fly, is found nowhere else in the world. The kiwi is the national emblem of New Zealand. 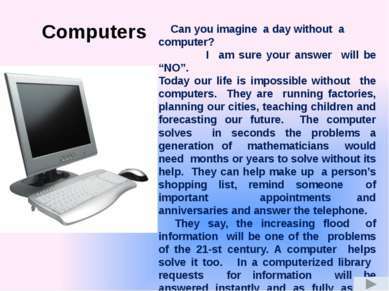 Computers Can you imagine a day without a computer? 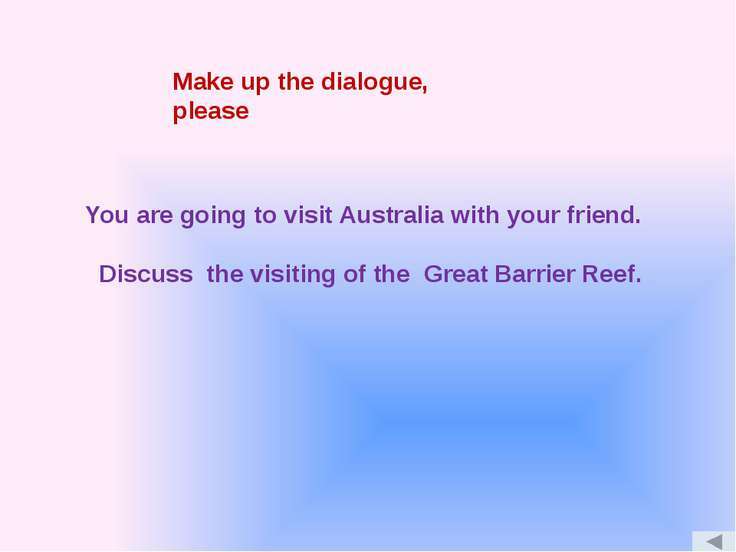 I am sure your answer will be “NO”. Today our life is impossible without the computers. They are running factories, planning our cities, teaching children and forecasting our future. 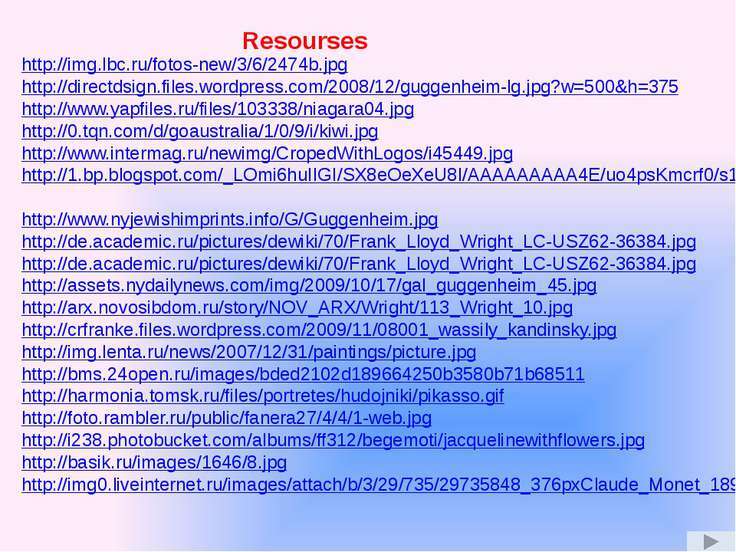 The computer solves in seconds the problems a generation of mathematicians would need months or years to solve without its help. They can help make up a person’s shopping list, remind someone of important appointments and anniversaries and answer the telephone. 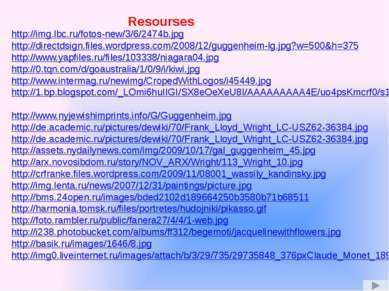 They say, the increasing flood of information will be one of the problems of the 21-st century. 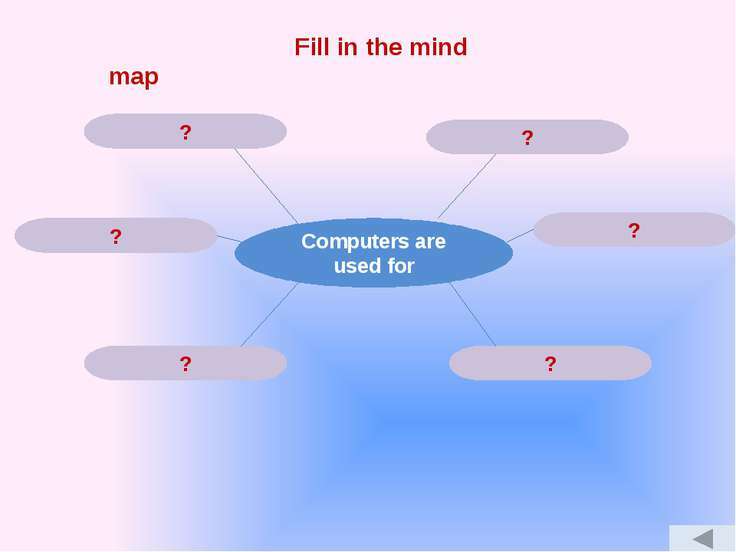 A computer helps solve it too. 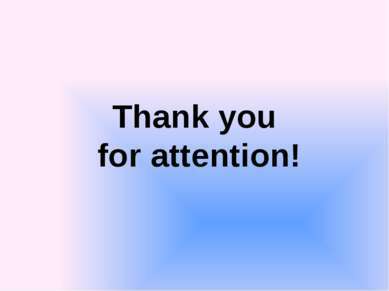 In a computerized library requests for information will be answered instantly and as fully as the user wants. 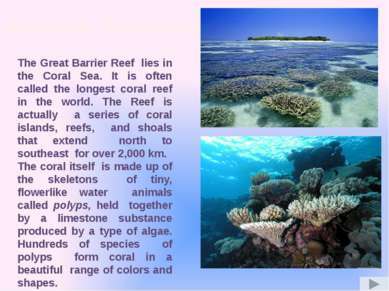 The reef is also inhabited by many colourful and exotic species of marine life. Many types of fish depend on the coral to protect them. 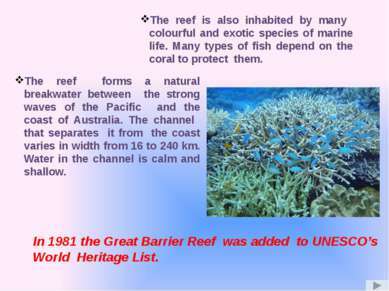 The reef forms a natural breakwater between the strong waves of the Pacific and the coast of Australia. The channel that separates it from the coast varies in width from 16 to 240 km. Water in the channel is calm and shallow. In 1981 the Great Barrier Reef was added to UNESCO’s World Heritage List. 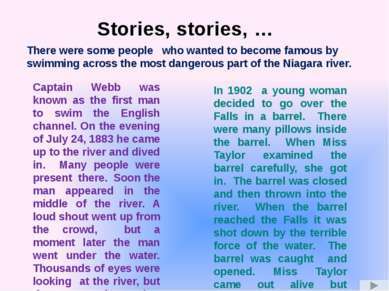 Stories, stories, … There were some people who wanted to become famous by swimming across the most dangerous part of the Niagara river. Captain Webb was known as the first man to swim the English channel. On the evening of July 24, 1883 he came up to the river and dived in. 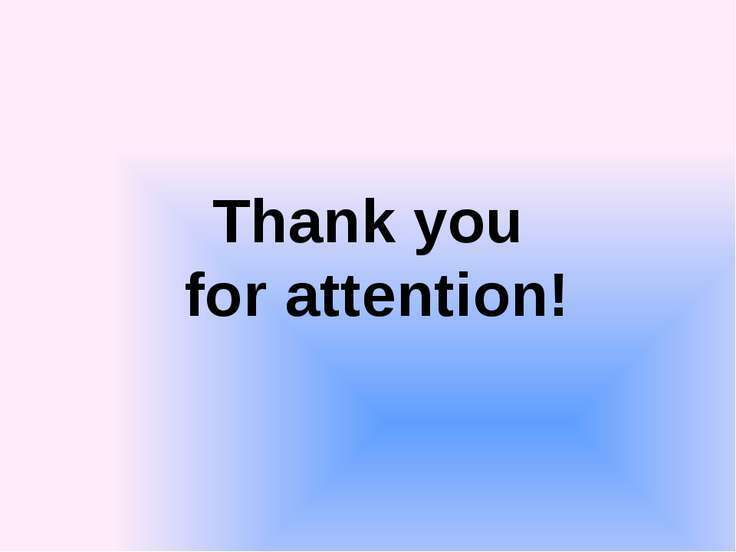 Many people were present there. Soon the man appeared in the middle of the river. A loud shout went up from the crowd, but a moment later the man went under the water. Thousands of eyes were looking at the river, but the man was drowned. 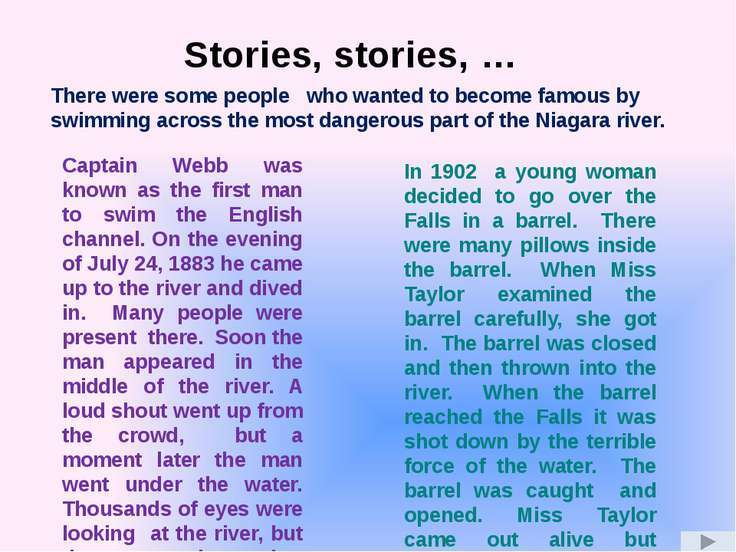 In 1902 a young woman decided to go over the Falls in a barrel. There were many pillows inside the barrel. When Miss Taylor examined the barrel carefully, she got in. The barrel was closed and then thrown into the river. 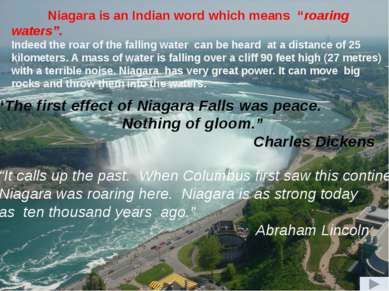 When the barrel reached the Falls it was shot down by the terrible force of the water. The barrel was caught and opened. Miss Taylor came out alive but frightened very much. 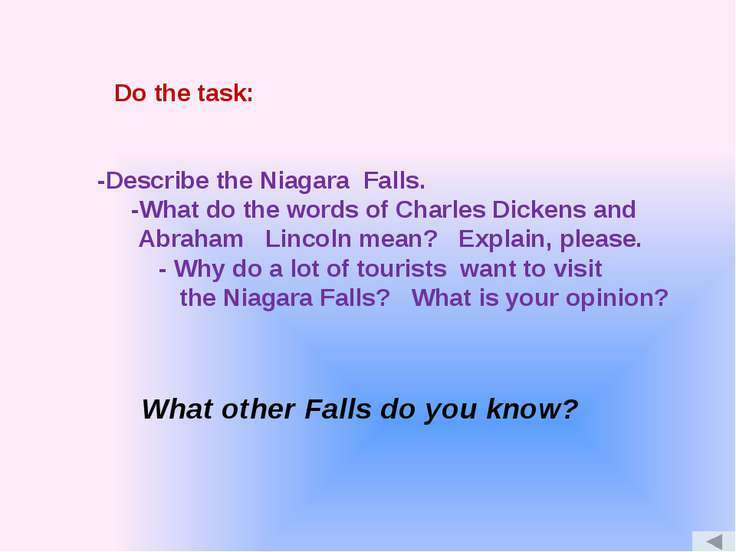 Do the task: -Describe the Niagara Falls. -What do the words of Charles Dickens and Abraham Lincoln mean? Explain, please. 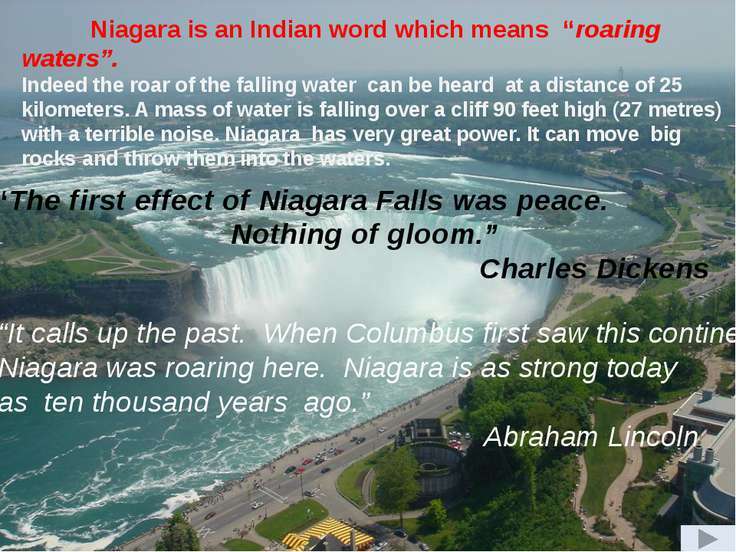 - Why do a lot of tourists want to visit the Niagara Falls? What is your opinion? 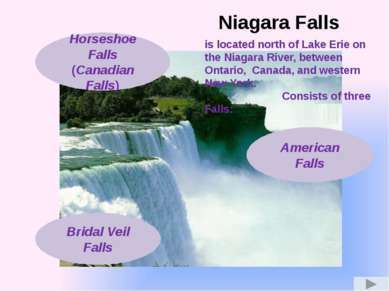 What other Falls do you know? Do you know that the first computer was invented in Great Britain? 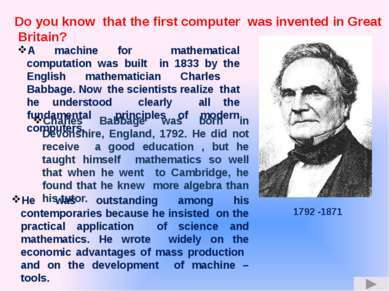 1792 -1871 A machine for mathematical computation was built in 1833 by the English mathematician Charles Babbage. 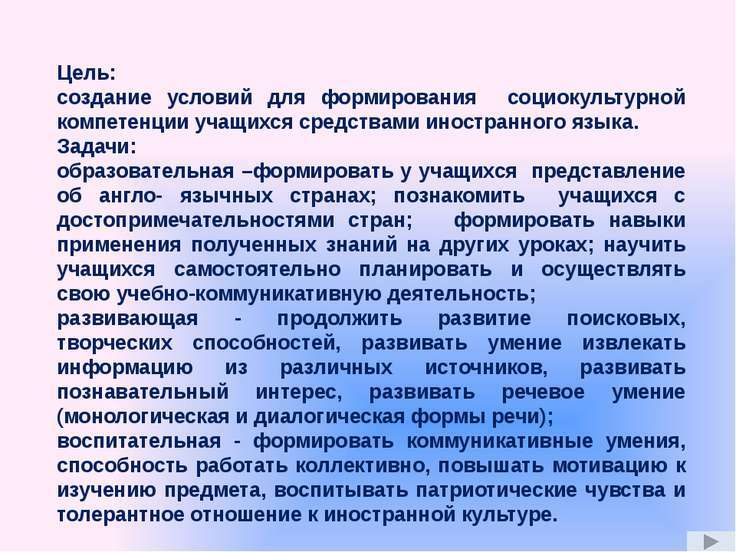 Now the scientists realize that he understood clearly all the fundamental principles of modern computers. Charles Babbage was born in Devonshire, England, 1792. He did not receive a good education , but he taught himself mathematics so well that when he went to Cambridge, he found that he knew more algebra than his tutor. He was outstanding among his contemporaries because he insisted on the practical application of science and mathematics. 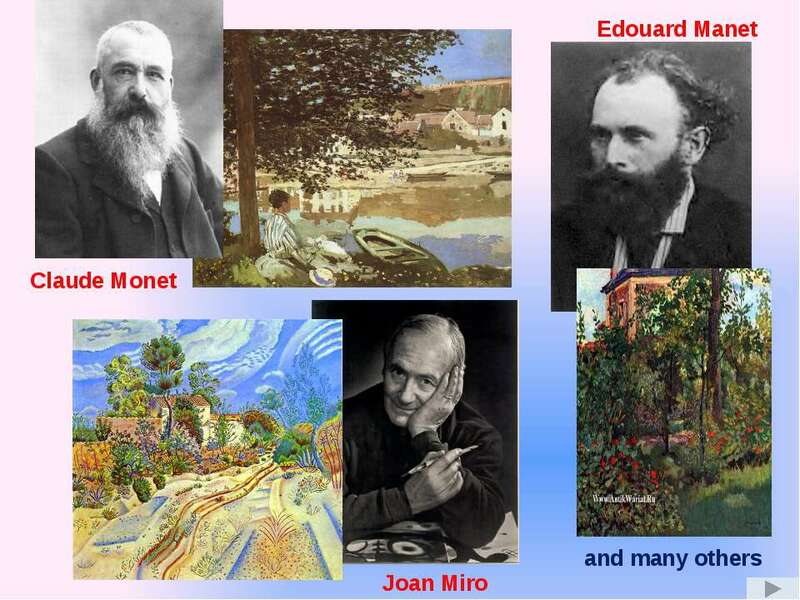 He wrote widely on the economic advantages of mass production and on the development of machine – tools. Fill in the mind map Computers are used for ? ? ? ? ? ? 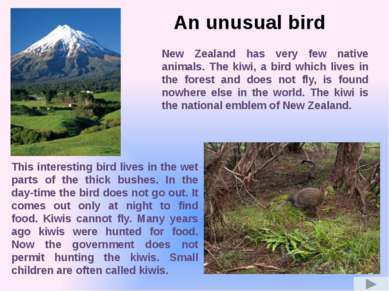 The kiwi is rather an unusual bird found only in New Zealand. It has no tail, almost no wings, and its nostrils are situated near the end of its bill. No other bird lays an egg so large in proportion to its size. 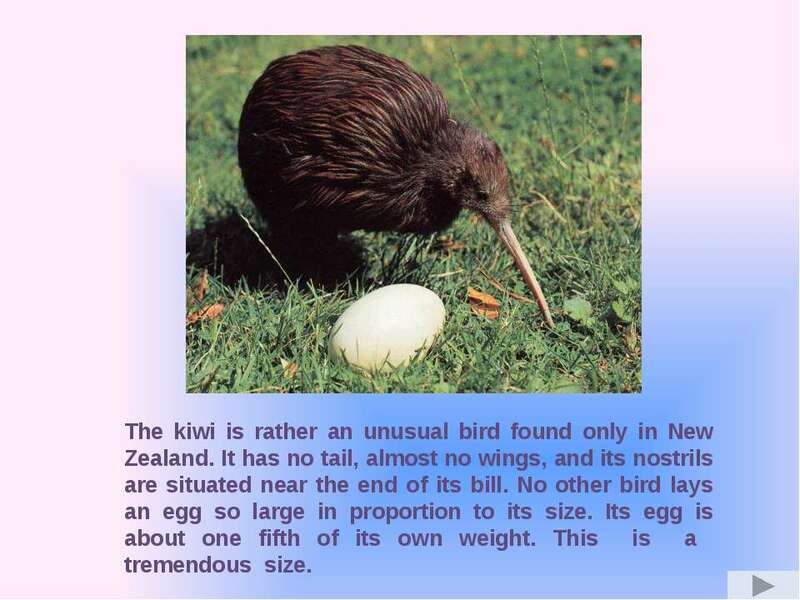 Its egg is about one fifth of its own weight. This is a tremendous size. 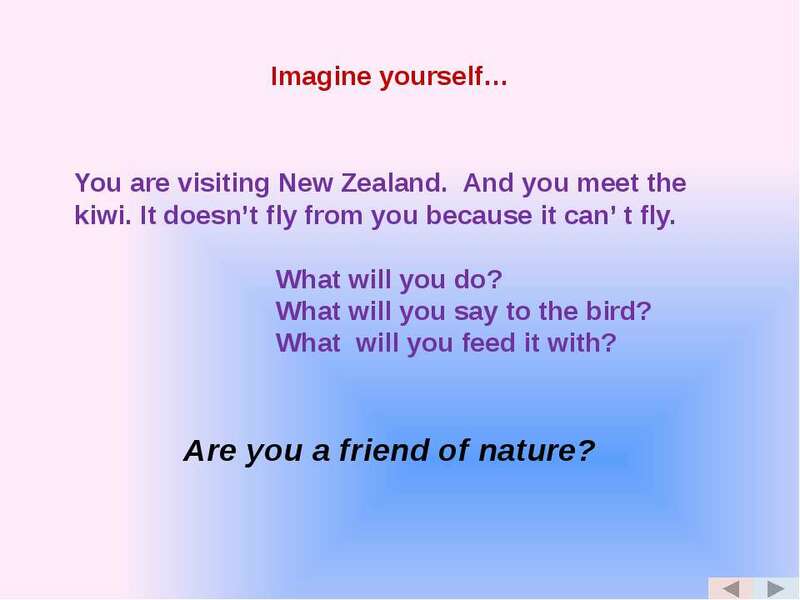 Imagine yourself… You are visiting New Zealand. And you meet the kiwi. It doesn’t fly from you because it can’ t fly. What will you do? 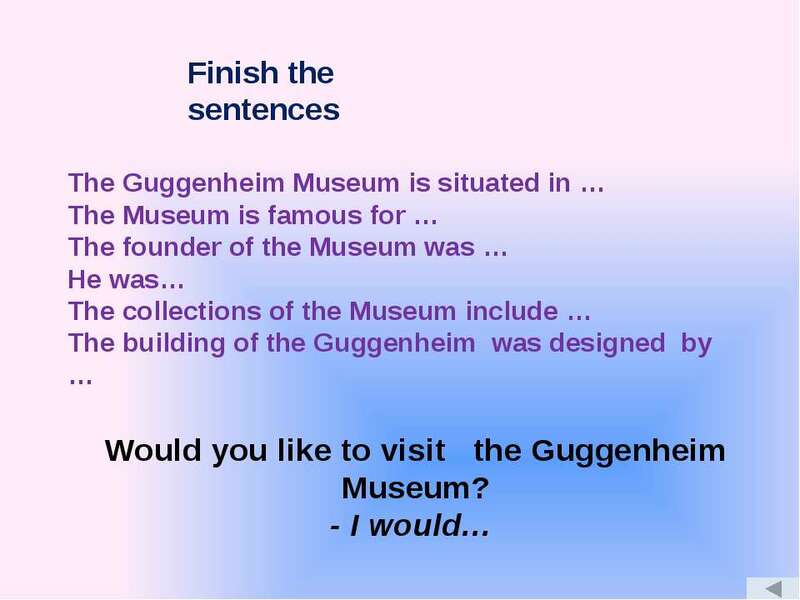 What will you say to the bird? What will you feed it with? 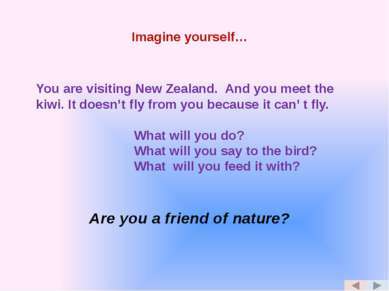 Are you a friend of nature?